Islamorada Fishing is world class. There are not many spots on this planet that can offer the diverse fishing available in Islamorada. Offshore, Patch Reef, Gulf and Bay, Back County, Everglades, the Flamingo, and Bridges are all active destinations for the largest fishing fleet in the world. The species are endless. 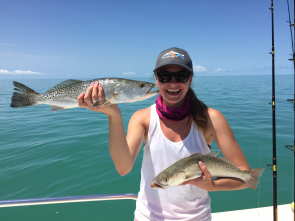 Some favorites include tarpon, permit, bonefish, redfish, snook, shark, sailfish, mahi, wahoo, backfin tuna, hogfish and many species of snapper. Epic does not even do justice to describing the fishing in Islamorada. Islamorada Times provides the most current and accurate fishing reports in all the Florida Keys. Captain Ed Yanetti had some folks on the Islamorada Hump this past week and the Blackfin Tuna cooperated nicely. Casting live Cigar Minnows into the current rip on 20 pound spin gear was the ticket to success. The Tuna were from 8 to 14 pounds. With another frontal boundary blowing through the Keys late week providing West and North winds the Mahi season will have to wait another week. There have been Dolphin caught in the Bluewater as well as along the reef, but no major influx of Dolphin has been in evidence yet. On the reef all is good. There are still some Sailfish being caught, although that fishery is waning. The Yellowtail Snapper are still just on fire all along the reef. 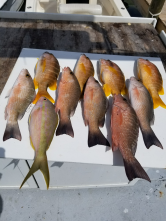 The Kay K IV and the Vera Vita charters have both been fishing then Yellowtail Snapper a couple times a week with great success. Charters are live baiting just off the reef and getting into some nice King Mackerel with an occasional Blackfin Tuna in the mix. There have also been some nice Mutton Snapper caught on the down/deep lines. Florida Bay is a great fishery right now. The Trout are in good supply with big numbers and lots of quality fish too. Mangrove Snapper are in the deep cuts and in the ditches around islands. Casting Shrimp or fresh cut bait will get the Mangrove Snapper attention. In the Bay adjacent to the Gulf the Tarpon action is great. There are also lots of Sharks to contend with too. Live Mullet or Ladyfish get the bite. Captain Freddie out of Smugglers Cove Marina has been fishing Flamingo on a regular basis, Fred says, no two days are alike. One day is fantastic and the next is slow. The Snook, Reds and Trout have probably been reacting to the changeable weather and especially wind. 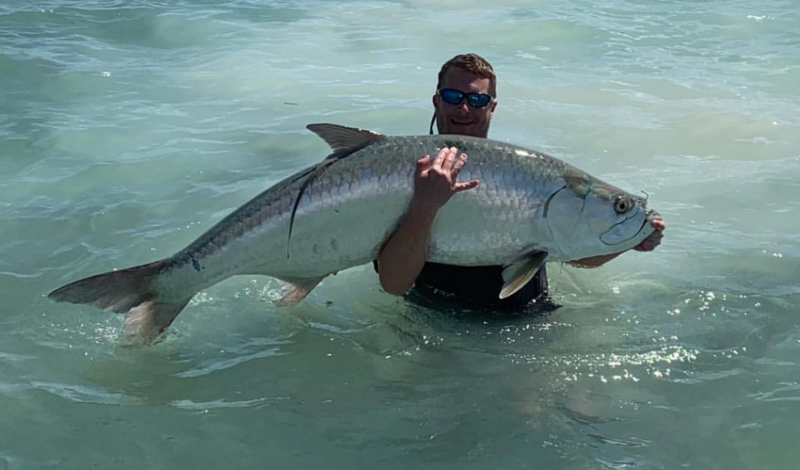 Captain Juan Garcia and Captain Skip Nielson have both been baiting Tarpon with live Mullet and hitting them hard, releasing Tarpon nearly every trip. Captain Skip reported catching a Mutton Snapper of ten pounds on a Tarpon rod. Last week was not the best for fishing the channels on foot. With the big full moon and winds from our latest front tides were ripping most of the time. Some anglers persevered and fished the moats adjacent to the channels. The slower water was easier to fish and a block of chum helped to draw Snapper to the bait. 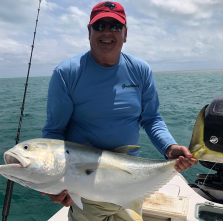 *Please email info@islamoradatimes.com or call/text 484-919-2133 for referrals and recommendations for the best Captains and Guides in Islamorada and the surrounding Florida Keys.